Equipped with the game to lead and the colorway to prove it, KD turns enemy territory into center stage. Like lightning, the Nike KD VI “Away II” represents KD’s unmatched ability to strike at any time. Featuring a subtle pattern on the black upper, volt and vivid blue pops make this a unique colorway. Pick up a pair starting this Saturday, January 11th at Foot Locker, House of Hoops by Foot Locker, and Footlocker.com (starting at 8:00 a.m. EST) for $ 130. Kids grade school, pre-school and infant sizes will also be available. Check the Launch Locator to see which stores will have this release and let us know what you think of the shoe in the comments. 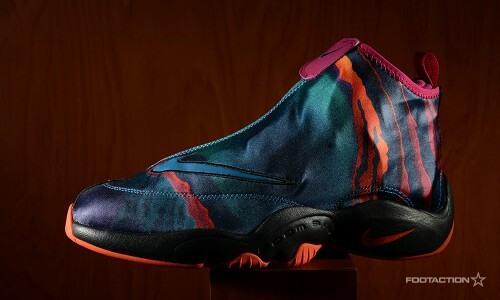 The Nike Air Zoom Flight The Glove is back in yet another colorway, as we’ve seen many come through in the past few months. This one is dominantly Green Abyss. The Gary Payton signature shoe sports an Air Tech Challenge-style assortment of bright tones. The shoe drips orange, pink and purple onto the shoe’s signature zip-up shroud in teal. Appearing once more on the outsole is solid orange, while solid-pink recurs on the inner-shoe and collar-trim. Available in stores and online on Saturday. Check out Release Locator for stores. 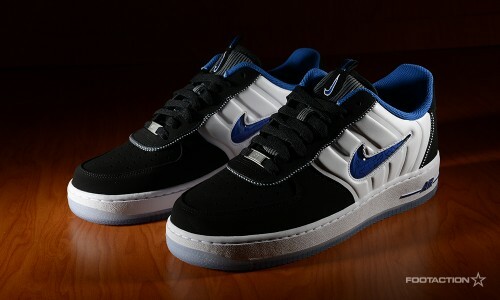 The Nike Air Force 1 Low CMFT Penny is an adapted Air Force 1 that borrows design elements from past Hardaway signature models. Featuring marbled jewel Nike Swooshes inspired the Air Penny 1, molded side panels, translucent outsole, and Hardaway’s ubiquitous “1C” emblem, the sneaker is more-suited for lifestyle than performance. 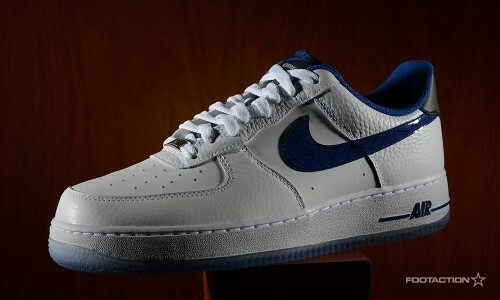 Its entire body is another strong adaptation of the Air Force 1 silhouette. 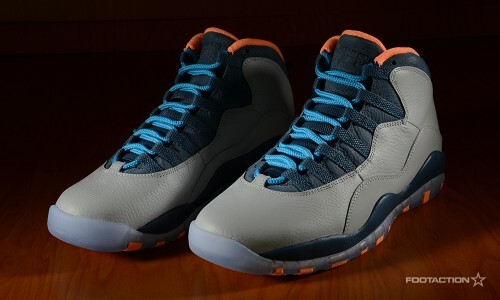 The Air Jordan 10 Retro “Bobcats” marks the first Air Jordan Retro release in 2014, seen in a the Wolf Grey / Dark Powder Blue – New Slate – Atomic Orange color treatment. An ode to the Charlotte Bobcats basketball franchise — this shoe release arrives at an interesting time as the franchise will revert back to the Charlotte Hornets next season. Michael Jordan himself revealed the team’s new logos late last month, so we’re wondering why they haven’t released any Bobcats colorways any time sooner. Regardless, it’s a sure thing to see the Charlotte Hornets’ teal and purple on Retros moving forward. Available in stores and online Saturday. Check out Release Locator for stores and release details. Along with the Air Jordan 10 receiving the “Bobcats” treatment is the Air Jordan 1 ’94 — a hybrid of the Air Jordan 1 and 10 silhouettes. The Charlotte Bobcats uniform colors consist of Wolf Grey (which can seen on the shoe’s upper), Powder Blue (incorporated on the branding) and Atomic Orange (spotted on the outsole and graphic print inner lining). 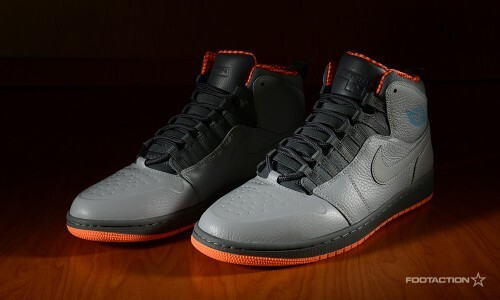 The Air Jordan 1 ’94 borrows the lining and tongue trim made famous on the Jordan 10. In 2013, Nike Basketball reintroduced the classic 1998 Gary Payton Air Zoom Flight The Glove in it’s OG colorways as well as some team-inspired mashups such as the Lakers, Oregon State and even the Sole Collector collab. Now in 2014, the first one to hit shelves is a brand new premium graphic print version that is the first we’ve seen of its kind. This newest iteration dropping this Saturday features a shroud with a heavy tech challenge-inspired look showcasing hits of blue, purple, turquoise and a green abyss overlay. This is certainly the most unique Flight Glove colorway we’ve seen to date. The Nike Air Zoom Flight The Glove PRM “Green Abyss” drops this Saturday, January 11th at select House of Hoops by Foot Locker stores for $ 150. Additional shipments will be arriving next week to all House of Hoops stores. Check the Launch Locator to see which stores will be getting the shoe this weekend and let us know what you think of this release in the comments.